Supplements - The Poisoned Delusion! Many athletes consider taking dietary supplements because they are looking for the "magic ingredient" to increase performance. In extreme cases, athletes (particularly body-builders) may choose to use illegal substances, such as anabolic steroids, which can quickly build mass and strength, but have many adverse effects such as high blood pressure and negative gender-specific effects. Dietary protein began to be consumed in the 1940's. Muscle-building results were found in strength-training athletes. Dietary protein intake for well-trained athletes should occur before, during and after physical activity. However, if too much protein and amino acid supplements are consumed, they can be more harmful than beneficial. Health risks include dehydration, gout, calcium loss, liver and renal damage and gastrointestinal side effects. A bountiful protein diet must be paired with a healthy, well-rounded meal plan and regular resistance exercise. Many studies show that supplements, in general, are poisons within the body and interfere with various metabolic processes. 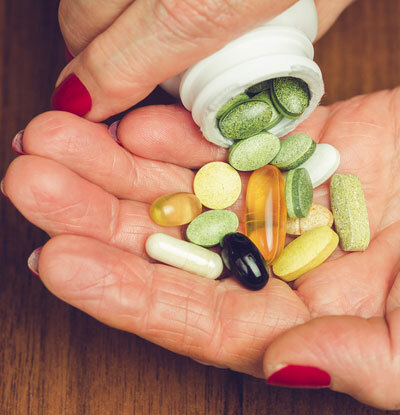 Research shows that supplements are denatured products and that their antioxidant qualities lack the credibility they claim. Denatured proteins, whether cooked or in supplement form, cannot be utilized by the human body. Protein supplements can and will poison the body. The most effective way to secure the natural nutrients required by your body for optimum health and physiological performance is by eating your vitamins, minerals, proteins, fats, sugars and carbohydrates, which can be procured from fresh fruits and vegetables, as nature intended them to be received. Foods such as processed starchy foods contain empty calories and are energy-depleting. Organic Supplements, Natural Energy Supplements, Organic Weight Loss Supplements, Organic Herbal Supplements, Natural Diet Supplements, Vitamin Supplements, Nutritional Supplements, Energy Supplements, Herbal Supplements, Mineral Supplements and Protein Supplements are also. They are all processed unnatural substances that rob your body of its energy and health. QUESTION: Which kind of food CANNOT be considered "Our Natural Biological Diet" for optimum nutrition and peak athletic performance? Any food that has been processed is no longer in its natural state, and is, therefore, a perversion of nature in relation to authentic nutrition. Dr. Herbert M. Shelton called fortified enriched foods "pseudo-food factors," because they contain inorganic lime salts, iron salts, and synthetic vitamins that are non-usable. Any food that has been processed by any methods, such as baking, boiling, or steaming, cannot be considered natural. This includes foods that have been dried in the sun, or by any other drying method. Dried seaweed, which is dried either in the sun or in drying bins, is considered processed. Nature Never Produced a Sandwich; but, it does produce raw fruits, vegetables and nuts, which is our natural biological diet. QUESTION: What is the difference between "Empty-Calorie" versus "High-Density-Calorie" foods, in relation to optimum nutrition, and how does it affects your athletic performance and endurance? Empty-Calorie defined: An empty calorie food is one which is, for the most part, devoid of most of the nutritional elements that are usually found in their natural, unprocessed food state, but are destroyed during the processing of foods. "Refined oils, including all cold, expeller-pressed oils such as coconut, sunflower, flax, olive, almond, etc.," says Dr. Graham, "are empty calories, and are, at best, carcinogenic junk foods that are not fit for human consumption." During the oil-extraction process, the oils have been stripped of their fiber, protein and carbohydrates. Protein or carbohydrate powders are, for the most part, empty calories that provide low nutritional value. Macro- and micro-nutrients become deranged or destroyed, during food-processing, and cannot be absorbed for optimum nutrition. Therefore, processed foods will drastically reduce any athletic aspiration for attaining optimum health, peak athletic performance and endurance. Whole, natural food will supply the human body with all of the nutritional elements needed to attain peak performance, endurance and power. If it was good enough for the Roman soldiers, who ate 80% of their diet as raw, cooked fruits and vegetables, while carrying 65 pounds of metal armor for some 25 miles-per-day to combat, I suppose it is good enough for the modern-day athlete. QUESTION: Why do "Empty-Calorie Foods" Perpetuate the Nerve Energy-Depleting Habit Cycle? Empty-Calorie Foods require you to needlessly rob your nerve and cellular energy reserves to digest an excessive amount of empty-calorie pseudo-foods. Why? You will have to eat a greater amount of food than you should to secure those nutrients. This will also require the use of more nerve energy to digest the additional food, which will further deplete your nerve energy and enzyme reserves. Empty calorie foods perpetuate the Nerve Energy-Depleting Habit cycle. QUESTION: What are Supplements and why are they collectively "A Perversion of Nature"? Supplements are fragmented foods that have been unnaturally separated from other nutrients, which are needed to work harmoniously for maximum absorption. Supplements are incomplete foods that offer incomplete nutrients. They cannot provide the optimum fuel for supreme and sustained, physical peak performance and endurance. Nature has harmoniously packaged its food in such a way that we may derive the most complete nutrient assimilation possible within the human organism. Dr. Vetrano, one of the great nutrition experts of the 20th and 21st centuries, stated: "Concentrated mineral and vitamin supplementation introduces toxic, inorganic minerals and vitamins into the body, and create nutritional imbalances within the body." Nature does not produce isolated proteins, fats, carbohydrates, minerals or vitamins, but all are part of a balanced, integrated, whole food. We do not eat isolated calcium, but collards; we do not eat isolated protein and fats, but nuts; we do not eat isolated sugar, but dates; we do not eat isolated carbohydrates, but fruits and vegetables. It is nature's plan to secure all of these elements when we eat whole foods, and not to fragment and unbalance foods, in the form of isolated, pill or powder form. Humans have a way of denaturing Nature. Nature does provide superior nutrition when it comes to integrating natural food preparations, as they all contain the required minerals, vitamins, proteins, fats, carbohydrates, macro- and micro-nutrients. All nutrients, such as vitamins, minerals, proteins, carbohydrates, fats, sugars, ect., that are secured from natural foods, as nature intend them to be accepted by the human body, work as a team to nourish the body for optimum health, peak athletic performance, endurance, and the generation of maximum power and strength.